In my humble opinion, nothing says fall like a structured wool hat and I’ve been on the hunt for a new one. 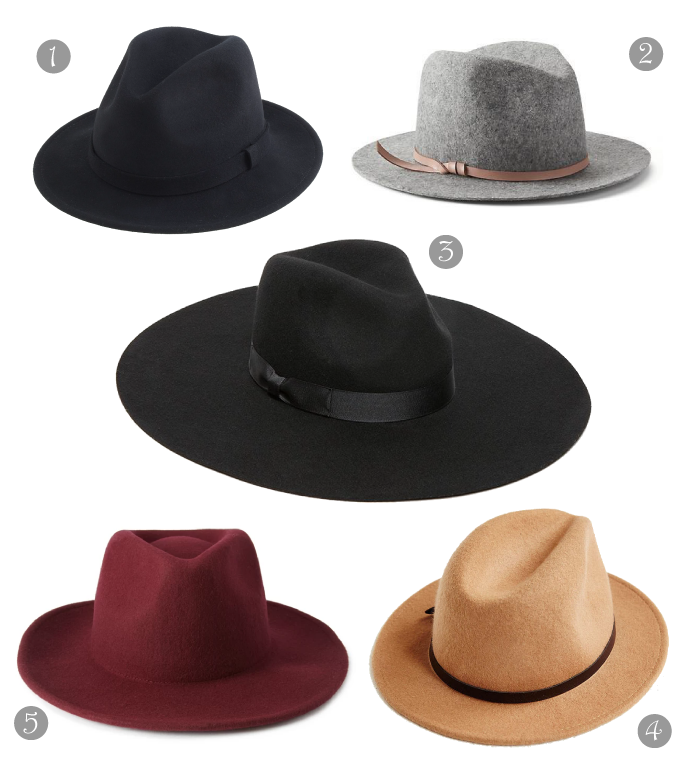 Wide-brimmed, classic, or colored – which one do you like best? I like the grey one more. I love the first and last ones! Awesome fedora picks, lady! Such a great fall hat. Gorgeous fedora picks! I seriously need to get one!